The built-in battery features the capacity that makes it possible for the device to work for up to 150 days in the standby mode. 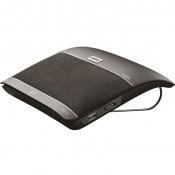 Alternatively, the speaker can be used for almost two days straight without the need for recharging. Some find the sun visor clip a tad unergonomic. 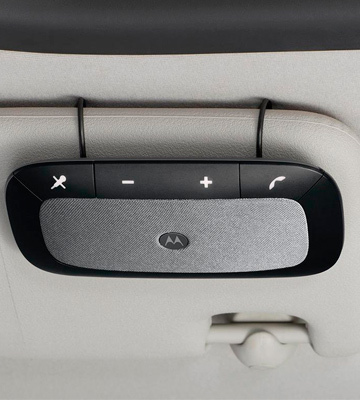 If you happen to be a day-to-day driver and you spend the bulk of your time behind the wheel, then this gadget from Motorola is a model for you. 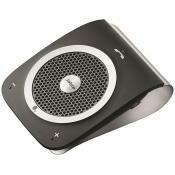 The echo reduction technology will allow you to talk on the phone even at freeway speeds. 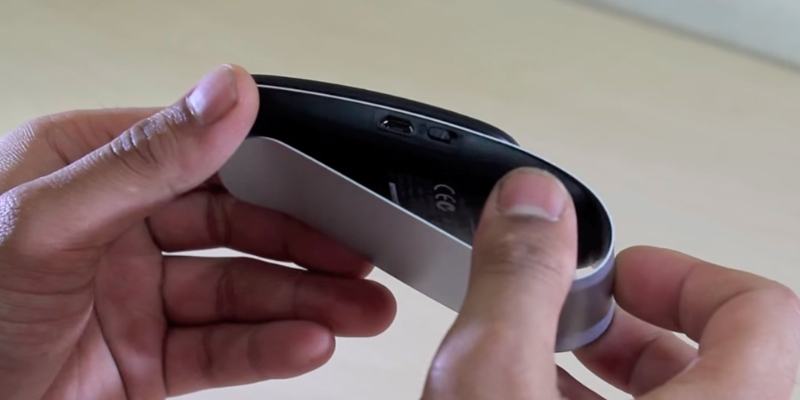 The Bluetooth 4.1+EDR technology is capable of pairing the mobile gadgets in a matter of seconds. The technology provides you with a high-quality connection regardless of the environment. The sound quality of the music playback leaves a bit to be desired. A moderately priced Bluetooth speaker will be an optimal choice for people who rely on hearing aid or for customers who can't stand hands-free headsets. 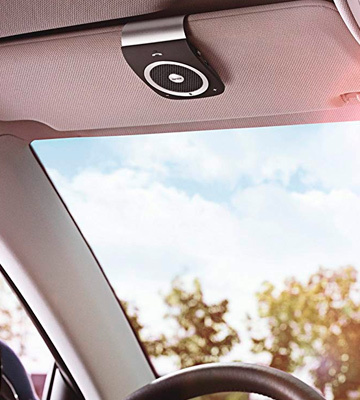 The simple installation process allows you to mount the device on the sun visor and make calls care-free. A built-in noise cancellation system and sound stabilizer will make sure that nothing but your voice will be heard on the other side of the phone line. The volume drops to the standard level after each launch. If you're looking for a multi-purpose car speaker, then you can't miss this model. With this tiny fellow on board, you can listen to your favorite audiobooks, podcasts, and music tracks without sacrificing the sound quality. 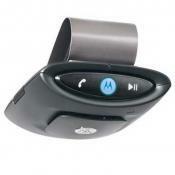 A handy clip-on mount makes it easier to install the speaker on virtually any visor near the driver's seat. Moreover, the USB that comes with the device is long enough to reach the lighter charger even when its installed on the sun visor. The battery doesn't last for very long in the talk mode. Simple, reliable, and efficient are perhaps the best words to describe this product. It is quite easy to use even for a beginner and the compact size makes this model suitable for almost any car out there. 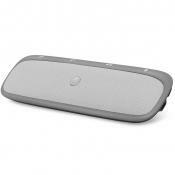 All in all, Jabra Tour is, perhaps, the best Bluetooth car speaker in its price range and, thanks to the simplicity of its design and ease of use, the device can be used by both professional and amateur drivers. 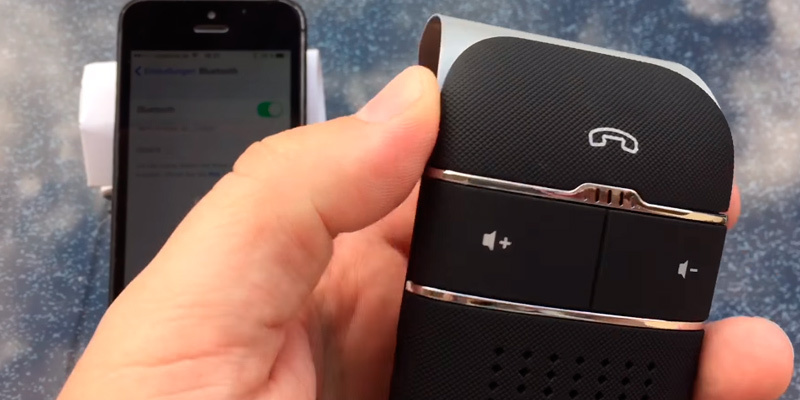 Strongly recommended to anyone who needs a Bluetooth speakerphone — or who has a dead car stereo. The metal clip for the sun-visor needs to be re-designed, it is too big, I think, and much too stiff. It makes deep marks in my sun-visor's upholstry. Other than the clip it is prefect. My favorite feature: It wakes up from sleep mode automatically when I enter the car. No need to switch the device on or off or re-synch every time you get in the car. It's as close to a factory feature in my car as I can imagine. A perfect solution for responsible drivers, the Motorola Sonic Rider is one of the most convenient-to-use models available on the market. So, what makes it so good? Let’s break down the list of its key features so you could see for yourself that the Motorola Rider is a model worth picking. Right from the get-go, there is one thing that catches the eye and makes this unit stand out - its design. Unlike the majority of similar products, this one doesn’t feature a fully-fledged clip-on on the back and instead has a wire-styled hanger. Although it is not very common, the effectiveness of such clip is comparable to the ones of more expensive, premium models. Although this device is a bit smaller than most of its competitors, its battery has a lot more to offer. The talk time of this model can extend up to 45 hours, and that fact alone makes it one of the best speakers in its class. But while the operating battery life is impressive, to say the least, the device can also work autonomously for almost 150 days without recharging in the standby mode. And if that doesn't sound enticing, we don't know what does. 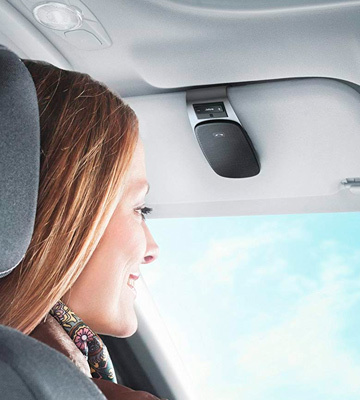 Battery specifications aside, the built-in microphone of the car speakerphone features active noise cancellation and can filter and effectively block almost any type of noise on the road. On top of that, the echo reduction technology will exclude the risk of additional noise coming in. As for the microphone, the High Definition capabilities make your voice come in a crisp way. This way, the person on the other end of the phone will be able to hear and comprehend every word you say no matter what’s going on inside or outside the vehicle. As for the speaker itself, its only downside is the power output of only 2 Watts. Although it is not crucial in most situations, if you are stuck receiving a call on a busy road, it might be a bit challenging to hear what’s actually coming out of it. That said, you can rely on the device pretty much anywhere as long as you have your phone paired with it via Bluetooth. 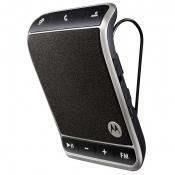 You can boost the volume of the speaker by both pressing the buttons on the front panel and via your cell phone. In conclusion, this model is great for people who can’t use Bluetooth headsets while driving and are interested in an easy and practical solution. Simple and reliable, this device from Motorola will definitely come in handy on a long road trip and in your everyday life. 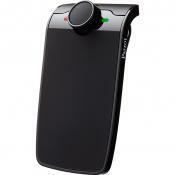 It is essentially a Bluetooth mic and speaker combo unit with mute, volume, and a hangup button. A great value if you don't need more than that. It is nicely sized, pairs easily, looks decent enough. 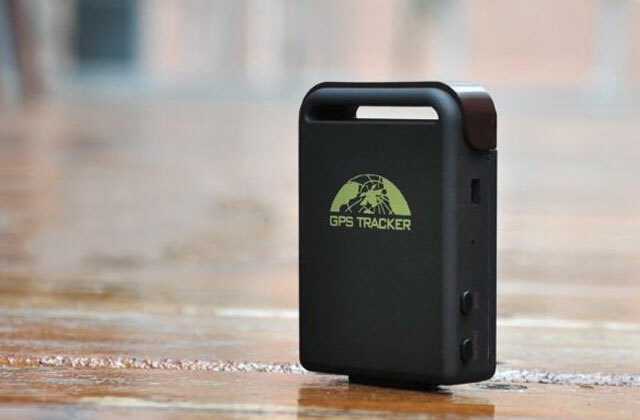 Regardless, it features a 2 Watt speaker, which, as anyone who knows anything about electronics will tell you, is plenty powerful for what this speaker is being asked to do, which is simply amplifying phone conversations or GPS directions. 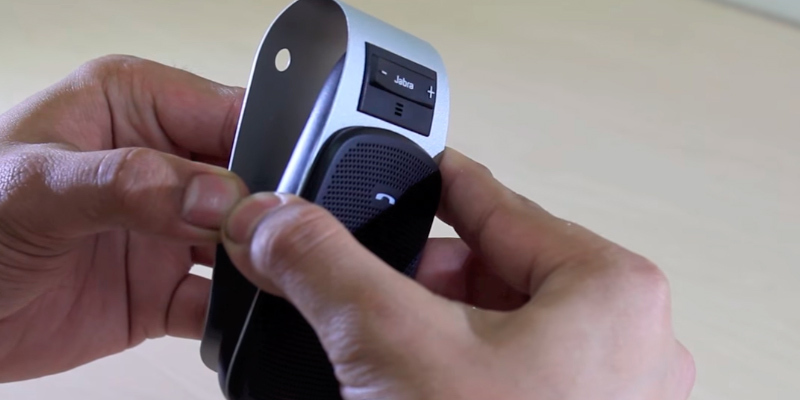 The Aivake T821 is one of the smallest portable Bluetooth speakers for cars in our review. But don’t let the small frame deceive you. In spite of the size, this model is capable of pairing with multiple devices simultaneously, which gives you a lot of opportunities as a driver. 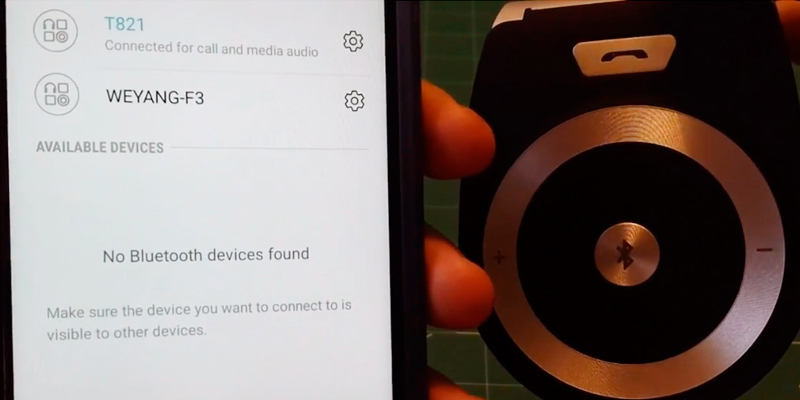 Naturally, you can connect the Bluetooth gadget to your phone, but it doesn’t end there. 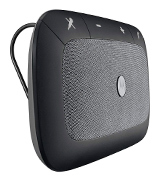 Additionally, the pairing capabilities of the speaker allow for connecting stereo systems, GPS units, and virtually anything that has Bluetooth onboard. This basically means that you can use the speaker as an announcer for a GPS assistant, for example. Or, alternatively, you can utilize it with voice-activation programs such as Siri for iPhone or its Android counterparts, which makes them much more easier to use behind the wheel without even touching your phone. 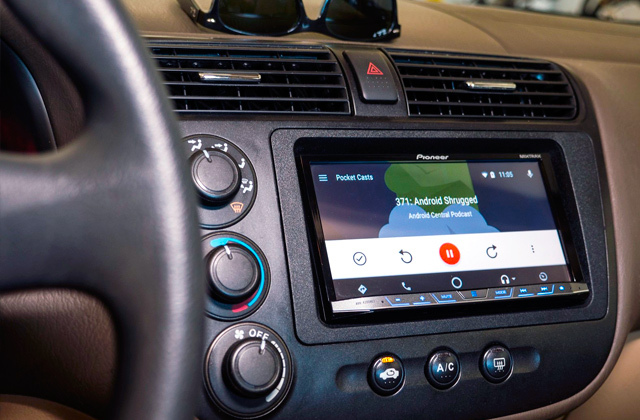 Although you can connect two phones to the speaker at the same time, you can only make one call at a time, so it is important to keep that in mind if you wait for ongoing calls while driving the car. 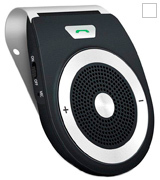 The Bluetooth transceiver of the speaker allows you to use the call function even if your phone is 20 feet away. But, even though it is a handy feature, we would not recommend doing this due to the distortion that might occur during the transmission of the signal. 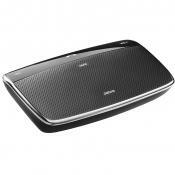 As for the speaker, although it has a 3-Watt output, the output sound quality leaves quite a bit to be desired. So, if you are in the market for the music playback device, this is probably not the product for you. 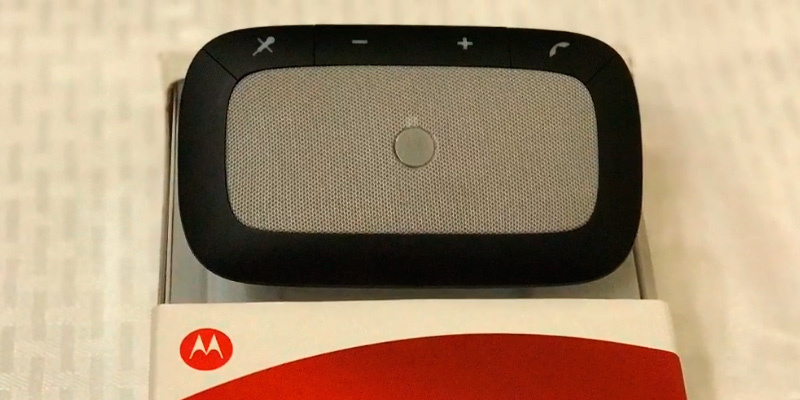 On the other hand, the speaker will be more than great for listening to podcasts or audiobooks and simple phone calls. 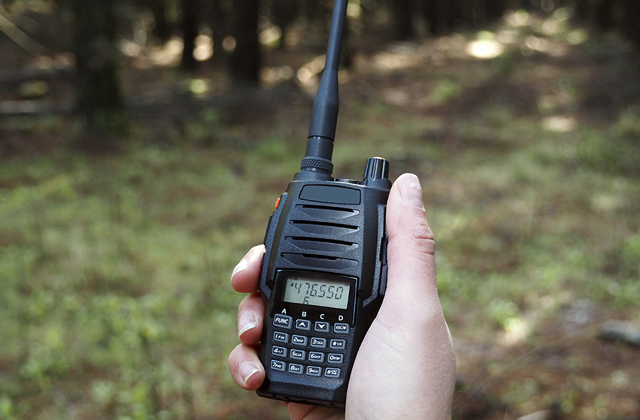 The only real disadvantage of this model is its microphone that tends to distort the incoming sound, so the person you are talking to might not be able to hear you if there happens to be some loud background noise present during the call. Other than that, the microphone will more than cover your day-to-day needs of making and receiving calls without too much of a hassle. The only thing you’ll have to worry about is the noise outside the automobile. The solution for this can be fairly simple - if your car doesn’t have enough noise insulation, you may want to simply close the side windows. 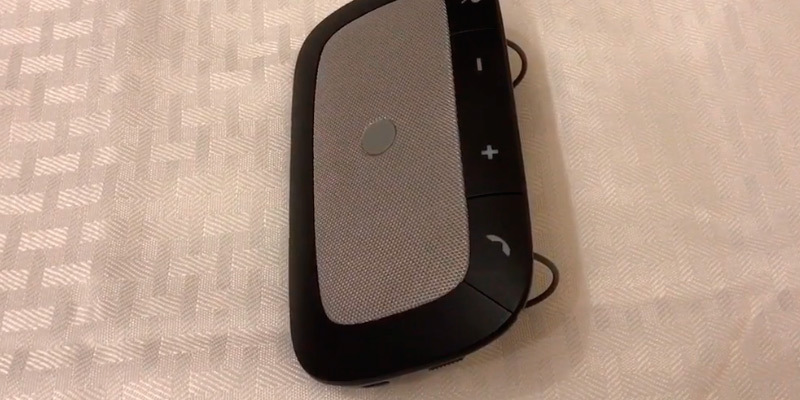 To wrap things up, despite the small size, this Bluetooth car speakerphone from Aviake will be a nice present to any driver who has a car without an onboard computer system and wireless capabilities. 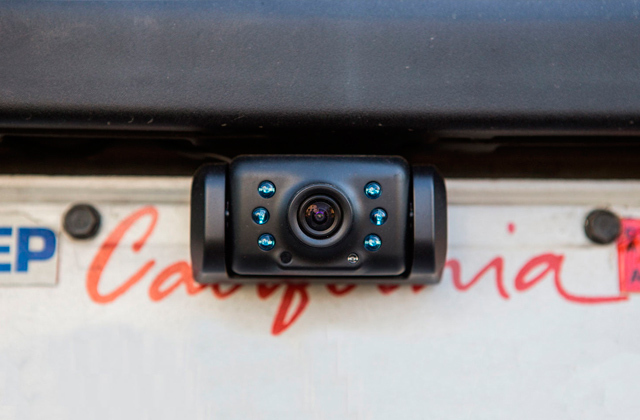 Thanks to the minimalistic design and good wireless capabilities, this tiny device is a must-have for any vehicle owner who likes to drive responsibly. 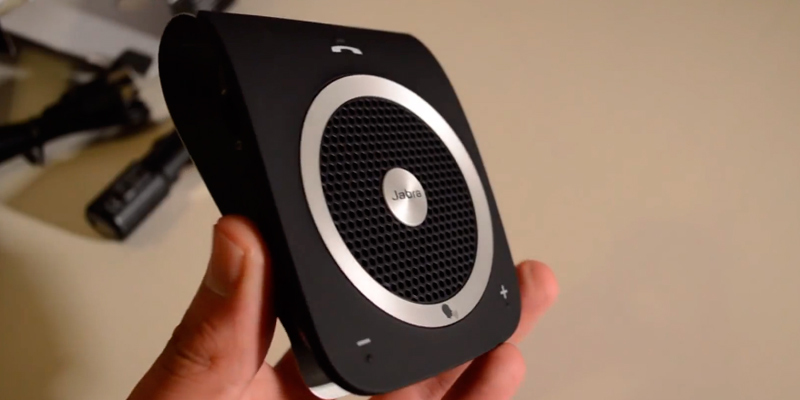 Although Jabra Drive may not seem like something special from the first glance, the model is actually one of the best entry-level automobile speakerphones available on the market today. There's quite a lot to it and we will try to cover everything that makes this device worth a spot in our review. Starting off, though the model has a seemingly basic appearance, the design of the speaker has been thought out enough to attract even the most sophisticated drivers out there. More specifically, the minimalistic design of the car speaker features just two buttons on the front panel and one on each side. The buttons themselves have no feedback or delay and can be pressed quite easily even if your fingers aren't that small. 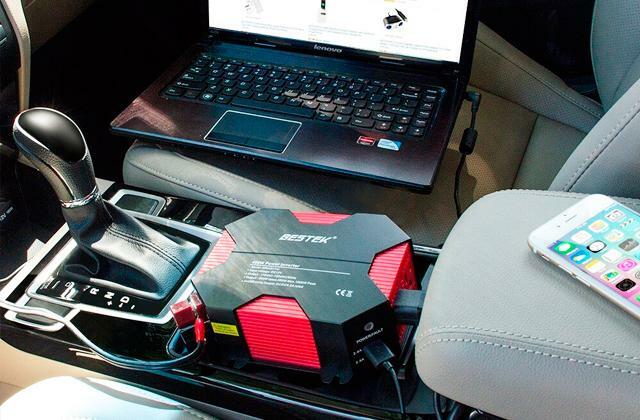 The device can be charged in a matter of hours, which can be crucial for drivers who tend to drive multiple hundred miles a day. There is more than one way to charge the speaker. The first one is your car charger port. Other than that, you can use the regular USB cable to power up the unit from any power outlet or a USB-powered device, in case you don’t have an adapter (which is not included in the package, unfortunately). 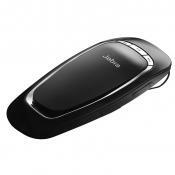 Just like many other similar models, this Jabra Drive In-car Speakerphone is designed to be mounted on a (sun) visor. Nevertheless, its clip that allows the device to be mounted is tighter than one of a regular model. It isn't a huge drawback but, since the clip grip can be too tight, taking the device off the visor won't always be easy. But if that doesn't sound like too much of an issue to you, there isn't a whole lot about this model that you wouldn't like otherwise. 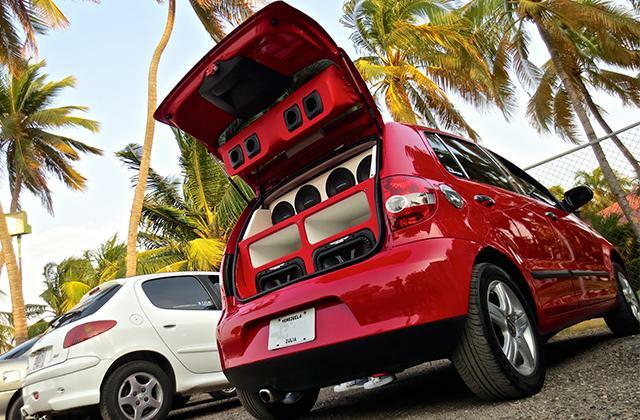 Moving on, the 2-Watt speaker of the device will be loud enough if you install it on the driver’s side. Otherwise, you may not hear the person on the other side of the line clear enough. 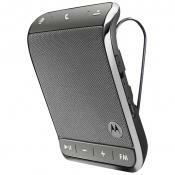 As for the microphone, it features a basic noise cancellation that will be enough to block the noise at freeway speeds. That said, it may not be able to block all of the noise if you manage to get stuck in traffic on a busy day. 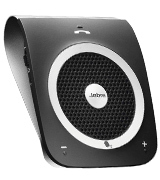 Since Drive is more of a basic model, the Voice Guidance firmware only features two notification sounds. The notifications will play an audio cue each time you connect a new Bluetooth device. It'll also provide an audio signal when your battery will be about to die. 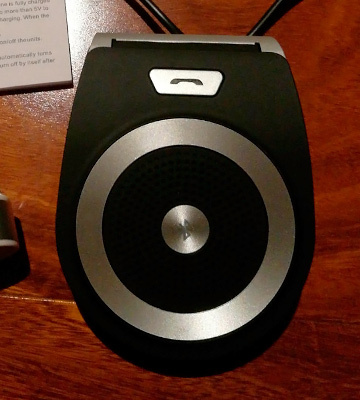 In short, this Jabra Drive Bluetooth car speaker is definitely a model worth looking into if you drive a relatively old and basic car and are not yet ready to invest into a fully-fledged onboard computer system. Worked only once. Easy to pair with phone. One the plus side, the voice quality, mike sensitivity and noise filtering are good. The speaker quality is pretty good given its size. I was little worried about its size and how it would ride on our van's visor (10 years old and a bit loose). But no issues there either. You hardly notice it's there. The SOAIY S-32 is a prime example of a basic car speaker model done right. Unlike models from other manufacturers, the buttons of S-32 are actually convenient to press. So, if you're the type to often change the volume, this is a speaker for you. On top of the basic features that most products in its class have, the S-32 model is equipped with a special motion sensor that turns the device on each time it detects a movement in a 2-feet radius of the unit. Thus, in order to turn on the speaker, you don’t have to press the button manually each time you get in the automobile. Whenever you open the driver’s door, the speaker will be up and running before you even start the engine. Despite the modest price, the device is packed to the rafters with convenient features, like the voice activation commands, Bluetooth pairing, and voice guidance software. Speaking of the latter, you can answer and end phone calls with simple one-liners. Alternatively, if you have already paired your iPhone or Android phone with the device, you can utilize their voice assistant programs as well. This feature allows you to make calls by naming the name of the person on your contact list. Since the voice guide is dependent on the current version of your cell phone’s firmware, we recommend you check the compatibility of the device with your current smartphone model if you intend to use this feature. 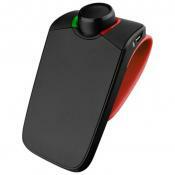 Since this is an entry-level Bluetooth car speaker, some of its features will not be suitable for all drivers. One of the limiting factors of the device is its battery capacity. 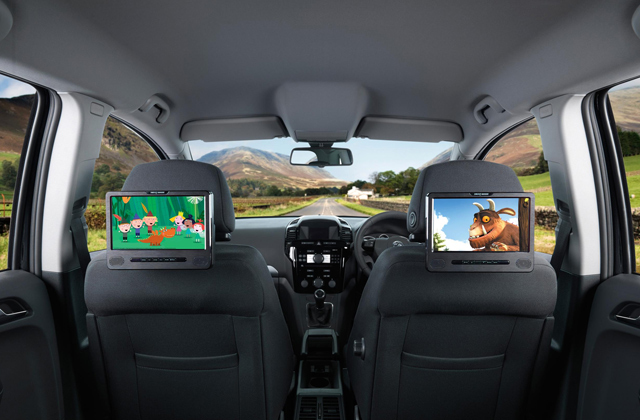 The built-in carrier can work for up to 10 hours while in the talk mode, which will be more suitable for occasional use throughout the working week than for long road trips. As for the charging means, the speaker comes supplied with a USB cable and a special lighter adapter that you can use in your car in order to recharge the battery. One more thing to consider is the fact that the device doesn’t have to be turned off manually each time you leave the vehicle. This is achieved thanks to a Bluetooth function that turns off the device when the connection with the paired gadget is lost. This way, you can conserve the battery life while the speakerphone is not in use. 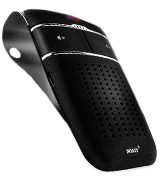 All things considered, the S-32 from SOAIY will be a good pick for occasional drivers and for those who just need a good Bluetooth speakerphone for automobiles that don’t have wireless or Bluetooth pairing capabilities. What Are Bluetooth Car Speakers? There's a lot to be said for the technology that allows you to take and receive calls right from the driver’s seat without even using your hands. Most states nowadays have laws that forbid drivers from talking on the phone behind the wheel. So a wireless transmitter is, perhaps, one of the few last options that will let you phone someone legally behind the wheel. On top of that, it is much safer to do so than via a phone since even the slightest distraction from what’s going on on the road may be fatal. 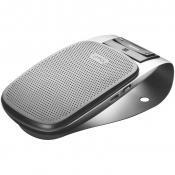 The Bluetooth car speakers, or simply speakerphone, make phone conversations behind the wheel a real breeze. 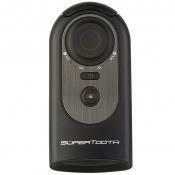 They are simple and require only Bluetooth and a compatible phone to use. 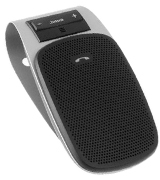 Some of the speakerphone models feature quite a few options that are comparable to the functions of a fully-fledged onboard computer, so there is no need to say how convenient these devices can be. 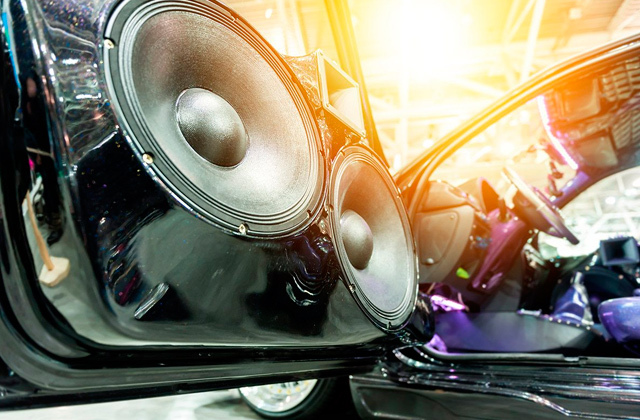 But if you're interested in some of the more sophisticated acoustic gear for your automobile, we recommend taking a look at car speakers to spice up your automobile sound system. And if you need an extra level of protection, you may also be interested in our review of car alarms. These Bluetooth car kits are definitely useful and convenient for everyday driving and long road trips, but there are quite a few criteria you need to consider in order to figure out which model is suitable for your car layout or interior. Thus, let’s take a closer look at some of the more important aspects of these devices. This one is fairly simple yet very important. The majority of Bluetooth devices can operate in two modes: talk and standby. While in talk mode, the gadget will consume almost twice as much power than in standby mode. Alternatively, the standby mode will allow you to leave the speaker inside of your car for a couple of weeks before its battery will be drained completely. A high-quality microphone may be perhaps one of the most crucial features of any device that allows you to make phone calls since it is the deciding factor that determines if the people on the other end of the line will be able to hear you clearly. The more powerful the speaker is, the more likely you will be able to hear a person on the other end of the line. Likewise, if the speaker is too loud, it may distort the sound. This handy feature allows you to make calls that are almost entirely noise-free, even if you are stuck in traffic on a busy street. The noise cancellation makes it easier for people to actually hear you. 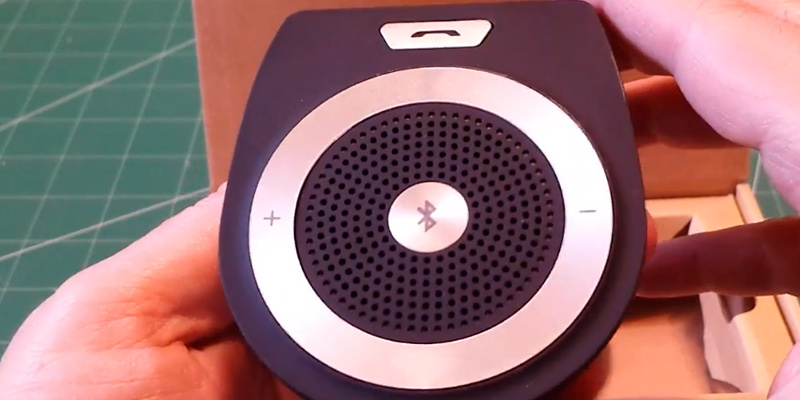 Some of the Bluetooth speakers can be used without even touching them. This way, you can make calls by entering the number with your voice, turn the music playback on and off, and plan routes (if you have a built-in GPS system in your car). 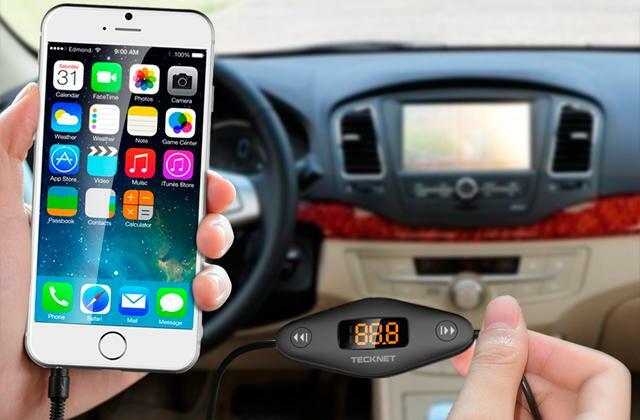 Although many cars have a built-in MP3, stereo, or even onboard computer systems, the ability of the transmitter to act as an actual Bluetooth speaker is an always welcome feature. First of all, if you are going on a long trip, you may want to conserve the car battery so it won't die on you in the middle of the trip. On the other hand, if you don’t have any CDs in your car or music files on the computer, you can just pair the speaker with your phone and use the receiver instead. 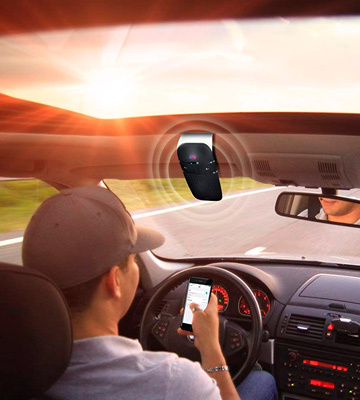 The smaller the device, the easier it is to install on your dashboard or sun visor. 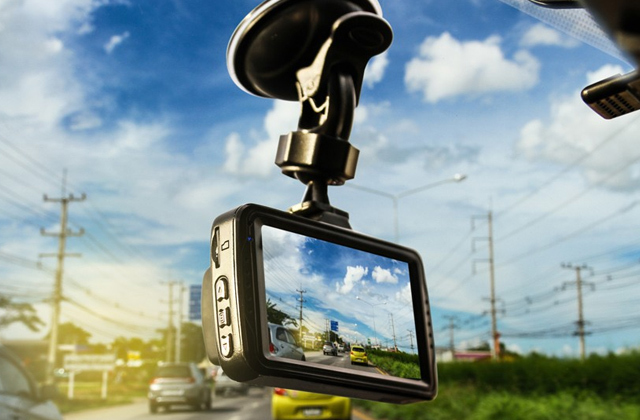 Moreover, a small device will not obstruct your view on the road, and that's always a good thing no matter how you slice it. It is not a coincidence that more and more states are prohibiting people from using the phone behind the wheel. Sure, some people believe that they should be allowed to use their phone like that as they're confident in their driving and multitasking abilities. But, setting their hubris aside, most people are really unable to focus on the road while holding a cell phone with one hand and a steering wheel in the other. No matter how you slice it, the rise in popularity that smartphones experienced over the last decade makes the roads more dangerous not only for the drivers but for all people that happen to be near those drivers. There are many distracting factors even beside the cell phones. 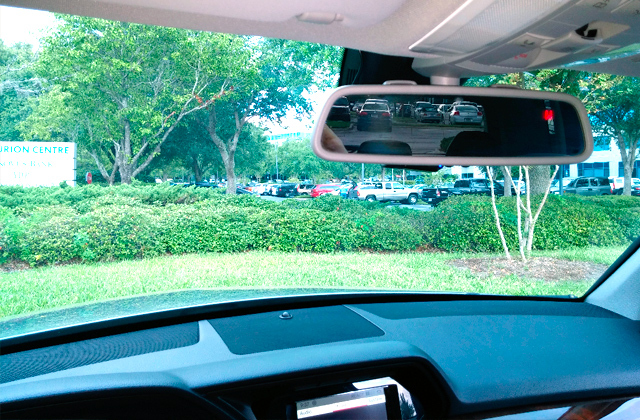 The GPS systems or the HUDs (head-up displays), for example, can distract drivers from what’s happening on the road just like the smartphones do. 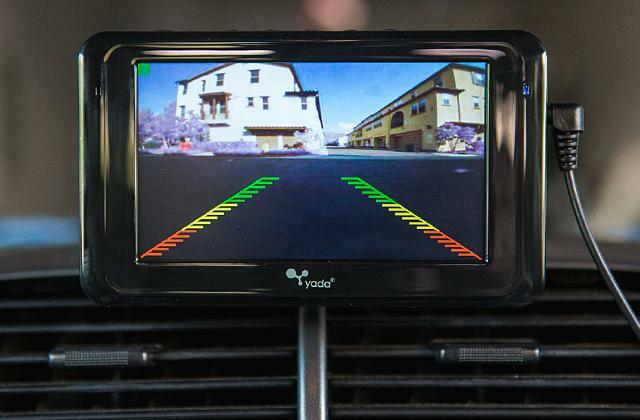 There are technologies being developed right now that allow showing various types of information on the windshield. And that is not a good sign for those who drive their car on their own without the help of ABS or other artificial assistance. As many studies have shown, multitasking behind the wheel doesn’t lead to good outcomes. The more you are distracted from the road, the more likely you are to end up in a nasty car crash. As this particular study shows, the brain activity and focus on the road deteriorates significantly when you are engaged in a phone conversation. Every aspect of the modern smartphone takes your attention away from the road: e-mails, messaging apps, social media applications, and simple system notifications. So what is the solution to this huge problem? 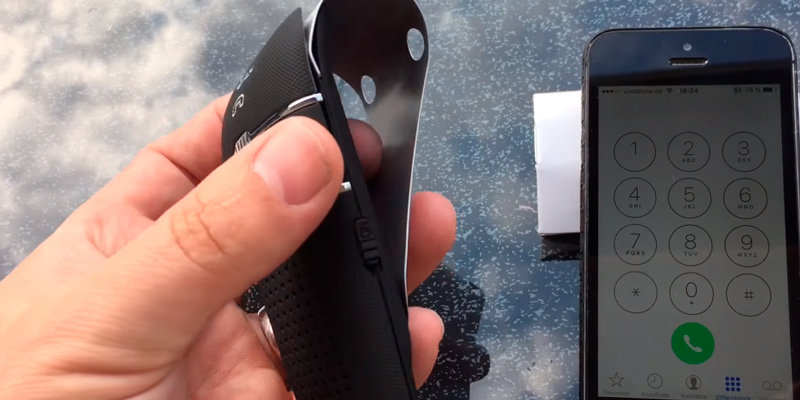 The answer is quite simple yet somewhat controversial - a wireless device that allows for hands-free calls and interactions with the cell phones. Even though the number of cars with onboard computers and wireless capabilities grows by the day, there are still a lot of vehicles that can’t be upgraded with such technologies. As more and more drivers are getting caught speaking on the phone while driving by the week, there is a certain and always present need for the devices that can help exclude the main risks of using handheld devices. That’s why hands-free gadgets are so important. Among other things, they can help people who are physically unable to do both things simultaneously, people who rely on hearing aid, and elderly people who really need to devote all of their attention to the road. Although they do not make you more focused on the road, they are a perfect middle-ground solution for all drivers who need to speak on the phone while driving. So, to wrap this up, there will always be some sort of distraction, even with hands-free devices at your disposal, and the only way to prevent road incidents is to always remain vigilant behind the wheel and to pay attention to everything that’s going on in front and around your vehicle. All in all, it is you, the driver, who is the one responsible for your driving. And as much as you may want to do so, you simply cannot afford to talk on the phone with only one hand on the wheel, unless you happen to be a flawless robot.